Can we partake of the fruit and ignore the roots? This is an extremely important question that cannot be ignored. Many today are being deceived by not examining the roots of various belief systems. This is causing them to partake in various activities that are actually dangerous. The fruit that Eve partook of seemed innocent and good. But the consequences of her eating of it has led the human race down a path that many of us wish we were not on. Many of our actions seem innocent and good, but in the end bring disaster. Could Satan be baiting us to partake of the fruit of the tree of knowledge of good and evil? 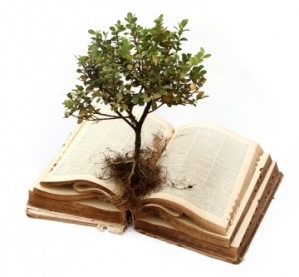 Each one of us has a tree of knowledge of good and evil in our lives. Whether we partake of it depends on our relationship with our Lord and our connection to the Holy Spirit. I believe that there are many activities that Satan has presented to the world and the Church that seem innocent, but where will these activities lead us? There is a way which seemeth right unto a man, but the end thereof are the ways of death (Proverbs 14:12). When we look at King Solomon, the wisest man who ever lived, we see the path that Satan led him down when he married heathen wives. We are no match for the Enemy of our souls. Even Solomon, with all his wisdom, fell for Satan’s lies. We need to examine the roots of everything we are confronted with. 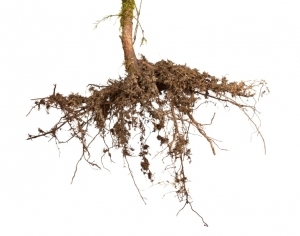 If the root system is flawed, we are warned to leave it alone. Every day we are being bombarded with New Age paradigms. Media and literature of all kinds are presenting principles and practices that are opposed to Biblical teachings. Danger signals should be flashing in our minds. We know that we should have nothing to do with New Age practices. But Satan is so subtle! He makes it look like we can take the good part of an activity and leave the part that is evil. Those who recognize that the practices and philosophies of New Age belief systems do not match up with their Christian beliefs, and refuse to have anything to do with them. Those who have no idea about their ties with the New Age movement. Those who are aware that many of these practices that are coming into the Church come from Eastern, and non-Christian origins, but see nothing wrong with using these techniques and practices to enhance their own experience. ...spiritualism is now changing its form and veiling some of its more objectionable features, it is assuming a Christian guise. Even in its present form, so far from being more worthy of toleration than formerly, it is really more dangerous, because it is a more subtle deception. While it formerly denounced Christ and the Bible, it now professes to accept both (557-558). There is no doubt that Satan has Christianized some offensive aspects of ancient pagan and occultic practices, making them more palatable to us. Here are just a few of the areas that spiritualism and ancient paganism has snuck its way into our lives. Many parents have enrolled their children in Karate classes so that they will be able to defend themselves when the bully of the classroom attacks them, never giving it a thought that the oriental martial arts are inseparable from their pagan philosophies. In some of our churches we have put aside our lesson quarterlies and are using books like The Shack instead, not realizing that these books make us and our youth vulnerable to occultic ideas. It is so very important that we examine the roots of books we read and movies we watch. If the author of a book has New Age ties, be very wary of reading it. Satan has taken over the entertainment and music world. He has bewitched the minds of young and old alike. Have you heard of dowsing? It’s an occult witchcraft practice that began in Germany during the Renaissance period and has many different forms. Many occultists use branches from trees to detect what is under the ground they walk on. When the twig they are holding moves or shakes in a particular way, it it said to be giving information about groundwater or mining opportunities. When we study the history of these devices, it’s easy to see that their roots are not Christian sources. The dowsers themselves do not have a good explanation as to how it all works. They just know that it does. What does the Bible say about this type of divining? There shall not be found among you any one that maketh his son or his daughter to pass through the fire, or that useth divination, or an observer of times, or an enchanter, or a witch, Or a charmer, or a consulter with familiar spirits, or a wizard, or a necromancer (Deuteronomy 18:10-11). It is interesting to note the part that the Roman Catholic Church had to play in this shift towards New Age thinking. In the fifth and sixth centuries, the Catholic Church decided to Christianize some heathen practices in order to attract new members. This is where Sunday worship came into play, as the those around them were worshipping the “sun” on Sunday, the first day of the week. The worship of Mary came from the worship of the pagan goddess Tammus and her child. The Greeks worshiped Jupiter, and the statue of him was Catholicized and renamed Peter. Many occult practices entered the Church in this way, making it easier for heathens to become part of the Church. Today we have become so accustomed to certain practices, that we don’t question where they come from and what they actually stand for. Satan has done his best to invade every aspect of our lives. Now he has invaded our space by entering into our prayer lives. Most people find it difficult to spend a long time in prayer, so labyrinth praying has become popular. When you examine the roots, you find that this practice came from Greek mythology and the god Zeus was at the very center of this worship. To substitute external forms of religion for holiness of heart and life is still as pleasing to unrenewed nature as it was in the days of these Jewish teachers. Today, as then, there are false spiritual guides, to whose doctrines many listen eagerly. It is Satan’s studied effort to divert minds from the hope of salvation through faith in Christ and obedience to the law of God (AA 387). Pantheism undermines faith in the Bible. Why would we want to have anything to do with a pantheistic form of worship? The Bible and the Spirit of Prophecy have given us sufficient warning against occultic and pagan practices. “Can a corrupt tree bring forth good fruit?” I believe God’s counsel today would be the same as His counsel to His people Israel: Examine the roots! O LORD, I know that the way of man is not in himself: it is not in man that walketh to direct his steps (Jeremiah 10:23). I will instruct thee and teach thee in the way which thou shalt go: I will guide thee with mine eye (Psalms 32:8). This is the counsel that we have been given. Let us heed this counsel and ask the Lord to lead and guide us in His paths of righteousness.